It happens in the heart. 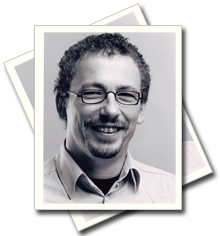 Andreas Robertz is an established German theater director with 15 years of experience. He has directed and produced more than 30 shows of all genres, in theatres ranging from 40 seats to 900 seats. Andreas developed his expertise while working as Artistic Director of the well known Children’s and Youth Theater of the City Theater of Muenster. In 2002 he relocated in the City of Cologne, where he served as Artistic Advisor for the City Arts Council and as Residence Director at the Artheater Cologne. While in Cologne, he produced and directed a number of contemporary American, Canadian, and English plays to critical acclaim. Currently Andreas serves as Artistic Director for OneHeart Productions and is a freelance director and producer working in both Germany and New York City. In 2008 he and Mario Golden launched a new project in Berlin with five German actresses and a German playwright, as part of an initiative for healing and reconciliation between Jewish and non-Jewish Germans impacted by the Holocaust. This involves the development of a play to be staged in Berlin and New York City in 2009. Andreas has received numerous regional and national awards and nominations in Germany for his outstanding work as director. He was awarded the 2006 Cologne City Award for his direction of The Pillowman. Mario Golden is a New York-based bilingual artist (actor, playwright, producer, director), and guide working in the U.S. and internationally. Drawing from valuable teachings that emphasize moment-to-moment being and inner realization, Mario supports the conscious transformation of individuals and communities towards greater states of freedom and truth. Mario was born and raised in Mexico City. At the age of 14, he immigrated with his family to South Texas. Despite facing financial hardship, he learned English quickly and excelled academically. He graduated from high school as valedictorian and was given a full scholarship to attend Stanford University, where he earned a B.A. in Psychology and an M.A. in International Development Education. After years working as an educator, he expanded his studies and practice with an emphasis on depth psychology, counseling and group facilitation, family and organizational systems, eastern spirituality, and the Enneagram. Simultaneously, Mario developed professionally as an artist, training and working in his native Mexico and the U.S. In the past decade he has honed his crafts most notably under the tutelage of Actors Studio life members and veteran teachers Rob Reece and the late Alba Oms (who worked extensively with Lee Strasberg, Harold Clurman, Elia Kazan, and other luminaries of the theater and film industry), and award-winning playwright Allen Davis, III. 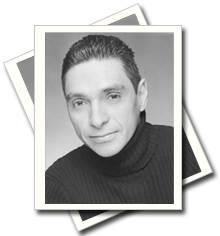 As an actor, Mario has vast experience onstage and in film both in California and New York. He has received very positive reviews for his stage appearances, and all the films in which he has played leading or supportive roles have been selected for festivals and won numerous awards. This includes The Mule, which was picked up for broadcasting by HBO Latin America in 2006, Falling, Capicú!, and Del Otro Lado (The Other Side), a Spanish language feature film he co-starred in and that he also co-wrote and co-produced. Del Otro Lado was a hit with audiences at its sold out premiere screenings in San Francisco and Los Angeles in 1999 and subsequently screened in international film festivals in the U.S., Canada, Europe, and Latin America. Mario’s first full-length play, One Less Queen, was published in the anthology Positive/Negative: Women of Color and HIV. Other plays he has written have been finalists in various competitions and selected in festivals, including the Metlife Foundation Nuestras Voces competition, the Pregones Theater Asuncion competition, the Strawberry Festival, and the Samuel French One-Act Festival. In New York, Mario is a member of the Professional Playwrights Unit of the Puerto Rican Traveling Theater, the Village Playwrights, Around the Block, and the Hispanic Organization of Latino Actors. He is also a member of the San Francisco-based Queer Latino Artists Collective. 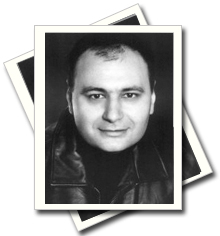 Vlad has been an actor for 18 years. He received his training from Rob Reece, founder of the “Progressive Method," with whom he consistently developed his craft for 17 years. In San Francisco, where Vlad makes his home, he has appeared in many successful stage productions, including Beyond Therapy, All In The Timing, and The Shadow Box — all produced by OneHeart — as well as Chekhov’s A Jubilee and others. He has also appeared in a number of independent films, including The Last Kennedy, Medium Gray, Stonewashed, and Blue Angel. Since co-founding OneHeart, Vlad has been in charge of the company finances. His background and knowledge of accounting, combined with his analytical and organizational skills, make Vlad an asset to the company. Vlad also brings to bear his vast administrative experience, acquired through years of work at a Human Services Agency. He is highly adept at project research and management, problem solving, guiding personnel, and interfacing with customers/clients, vendors, community based organizations, and top-level executives. He possesses excellent conflict resolution skills. Currently Vlad is taking on a new and exciting challenge as a real estate investor. His personal vision is to support his friends and family in becoming financially secure, and to benefit many other people through his business endeavors. Lisa co-founded OneHeart Productions in 1999 with a team of committed artists all sharing a common passion for the teachings of the Progressive Method created by Rob Reece. Interested in bringing this work to life Lisa produced, performed, and directed in a number of OneHeart productions in San Francisco based productions. 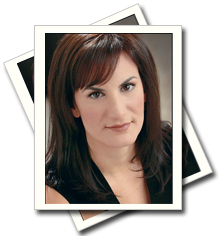 A real turning point for Lisa in her work as a performer and theater professional came about when she combined her experience as a performer and understanding of theater as a healing art to mentor at risk youth in a program called Each One Reach One. Each One Reach One diverts incarcerated youth from a life in prison to become productive community members through mentor-based performing arts and academic tutoring programs. With years of experience in theatre, independent films, and industrial work behind her, Lisa packed up her belongings and moved to New York City in 2005. In New York she has been working on short films, staged readings, and improvisational comedy honing her skills as a performer. Lisa is a student of The Diamond Heart Approach. First introduced to the teachings of Hameed Ali and the Diamond Heart Approach in San Francisco, Lisa continues her studies here in NY with the local Diamond Heart group taught by Alia Johnson. Lisa not only brings creative talents to OneHeart but also a wealth of sales and marketing experience from a variety of industries. She currently manages East Coast Channels Sales for Mindjet Software. Lisa is very excited to be a part of OneHearts's success in NY.